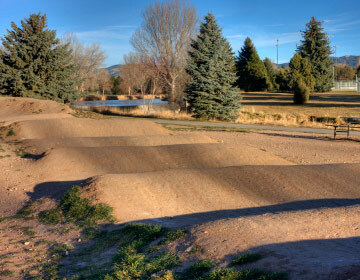 VXP is an ABA sanctioned BMX track located in Staunton, Virginia. The ABA sets up the rules of racing and conduct on the track. Anyone who races on a ABA track must be a member (or trial member) of the ABA. This binds the racer to the safety and conduct standards of the ABA and also provides the rider with insurance coverage while racing. Ages run from the 5 and under class to the 55 and older class. See track website for free one-day pass and race schedule.